Year: 1947 Item #: 425 Views: 4,990 Comments: No Comments. Mighty like a rose... You're lovely to look at, delightful to know because your mind matches your face - gay, alert and beautiful. 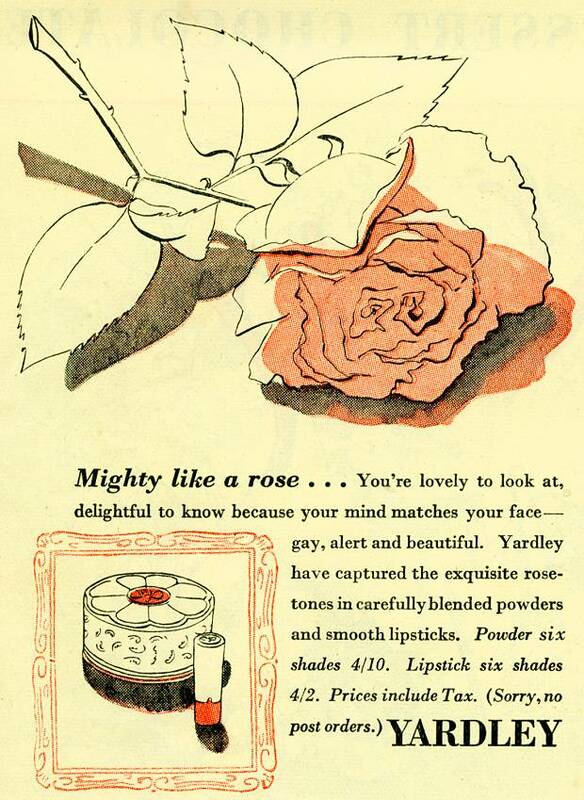 Yardley have captured the exquisite rosetones in carefully blended powders and smooth lipsticks.